This is a picture that I have been demoing at the Scrapbook shows now for year or so and I love it because (of course it's my daughter!) but because I printed it in B/W and the big flower in the photo just screams to be colored with glitter!! It's a big area to glitter so I use Sparkle N Sprinkle's Brushable Glue and paint the glue on where I want the glitter then used Mauvelous Glitter (it's semi-transparent so I can still see through and see the details and shading of the flower), then the center is Lemonade and the stem is Spirited Green. 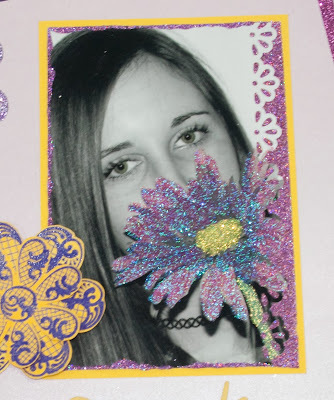 Then on the side of the picture I used a border punch and the 3/4" Tear-ific Tape and more Mauvelous Glitter. On the border of the picture I use a makeup sponge with Dimensional Glue and distress the edges and used more Mauvelous! I love that technique because it frames the picture with a dimensional glitter border and it really makes a photo pop! I had a lot of these big Swirl Flowers already stamped and cut out from the Summer Marbled embossing powders so I just added those to the page. The chipboard feathers were some that we demo at the shows as well from Scrap It and are also using the Summer Marbled EP's. 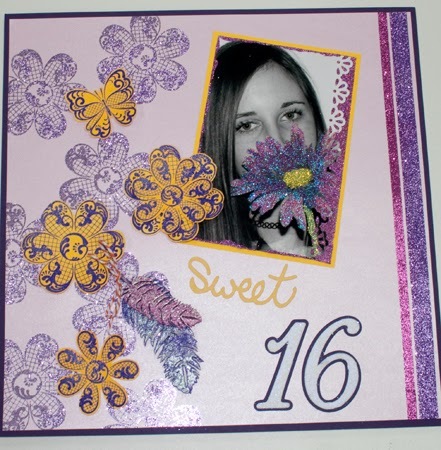 The exciting part of the background is the glittered flowers!! 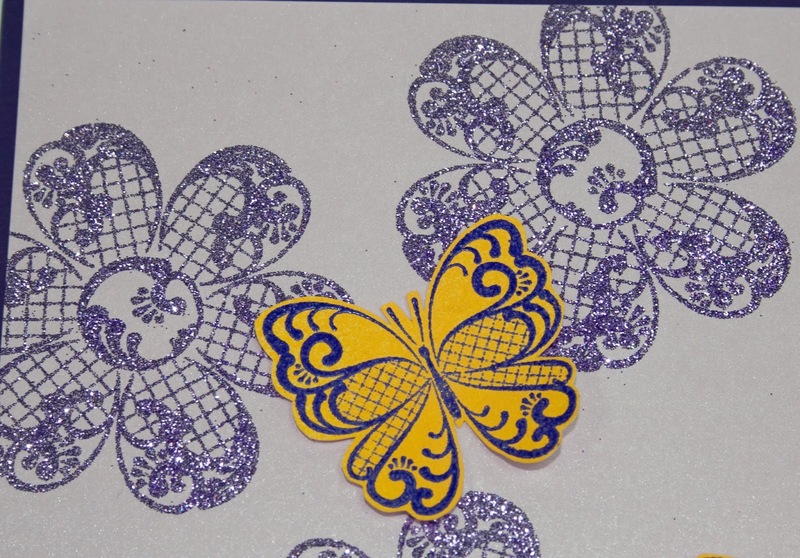 We have a new glue at SNS, Mega Tack, and you can stamp with the glue and glitter it for a very sparkly stamped image!!! You can watch a video here on how to use the Mega Tack Glue. 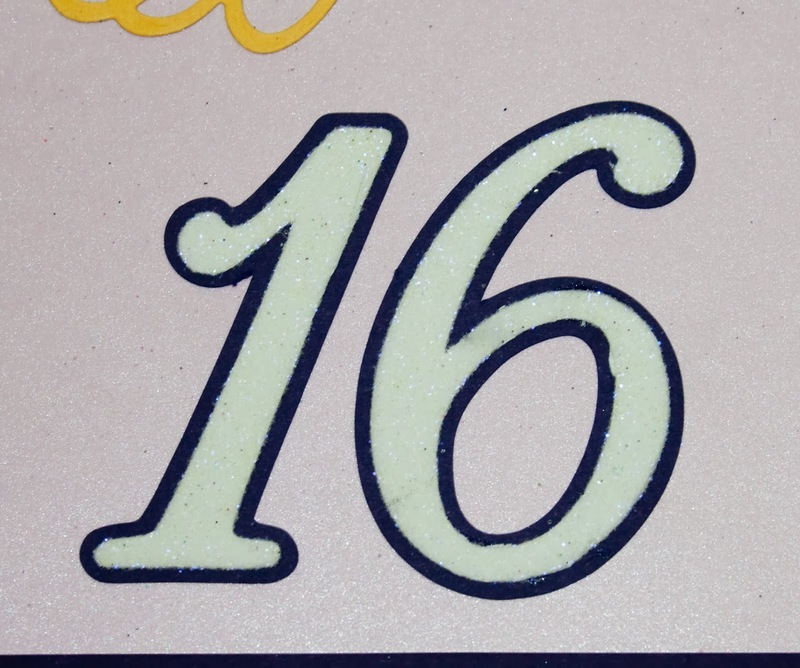 The 16 was cut out with my Pazzles on Sticker Paper and I used Lavender Iris Glitter to make it sparkly! 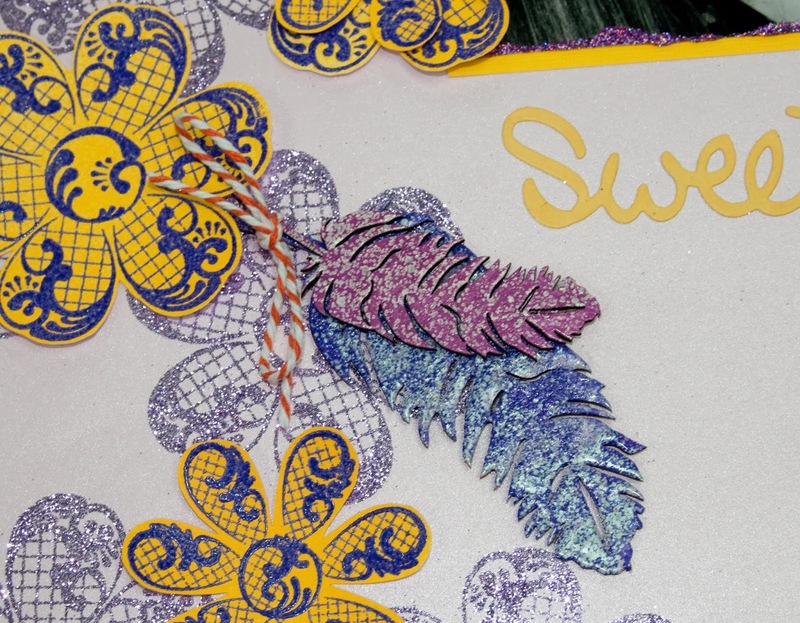 The glitter stripes down the side of the page were done with the Tear-ific Tape and more glitter!